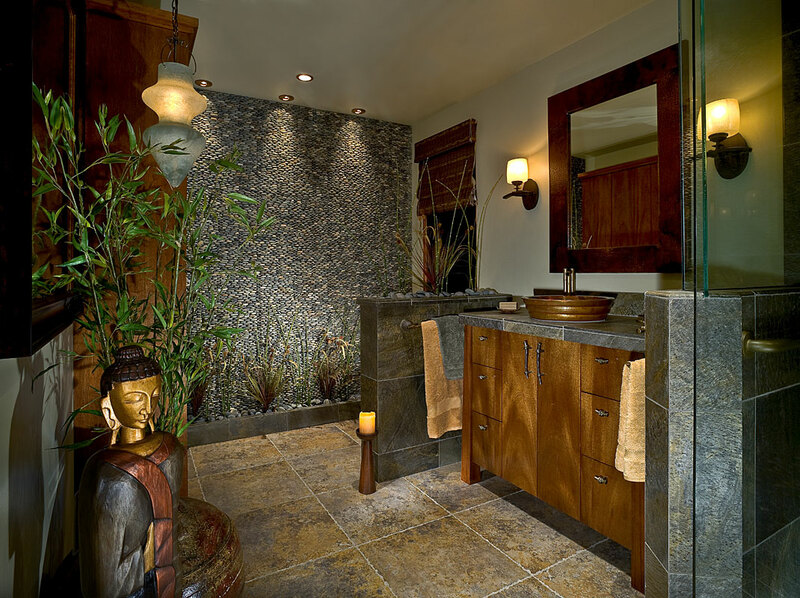 These Del Mar homeowners desired to have a complete bath renovation that would be a fusion of Zen / Asian and Craftsman sensibilities. 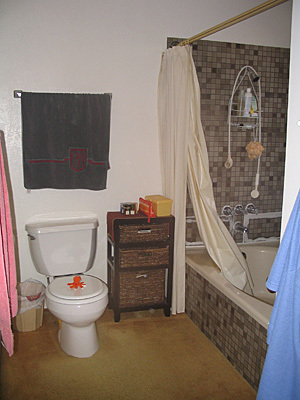 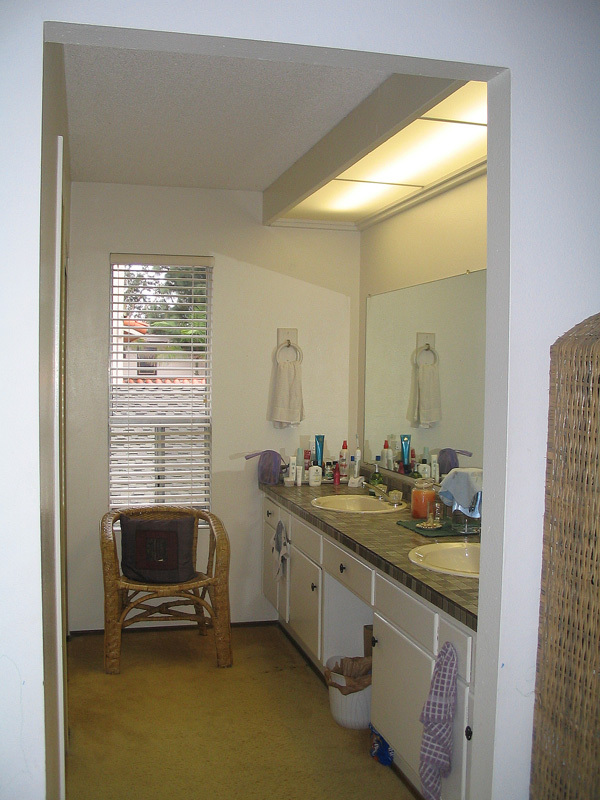 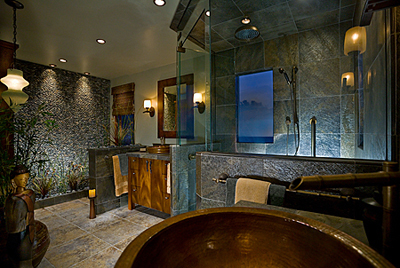 A dramatic wall of stacked pebbles creates the feeling of a natural waterfall where the old tub/shower enclosure and toilet were… a floor to ceiling linen closet and toilet room door were removed, while the old standard dual vanity countertop was transformed into a large, slate lined corner shower (complete with an aromatherapy steam unit). The sink vanities were split up into two distinct “his” and “hers” washing areas and are punctuated with warm copper vessel sinks, bamboo faucets, and Craftsman cabinetry.